For the past 19 years, I have trained buyers, engineers, product managers, salespeople, among others, on choosing the most appropriate adhesive tape for the job. 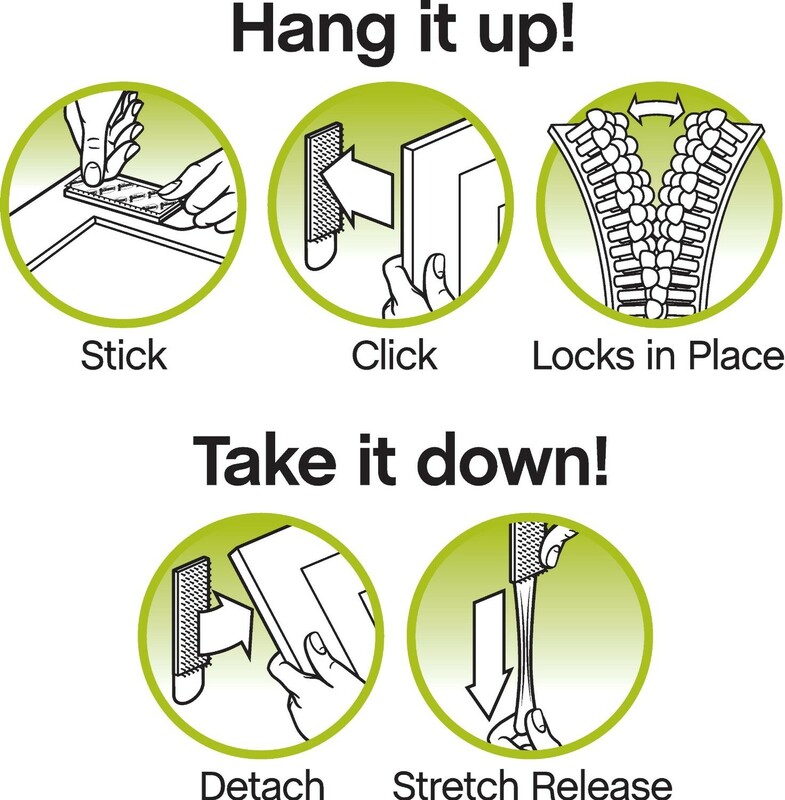 Whether it’s to hang objects on a wall, holding a display stand together, or assembling a cell phone, one of the most difficult tasks is to find a tape that will hold an object in place while, a day in the future, being able to remove the adhesive from one or both surfaces without causing damage. 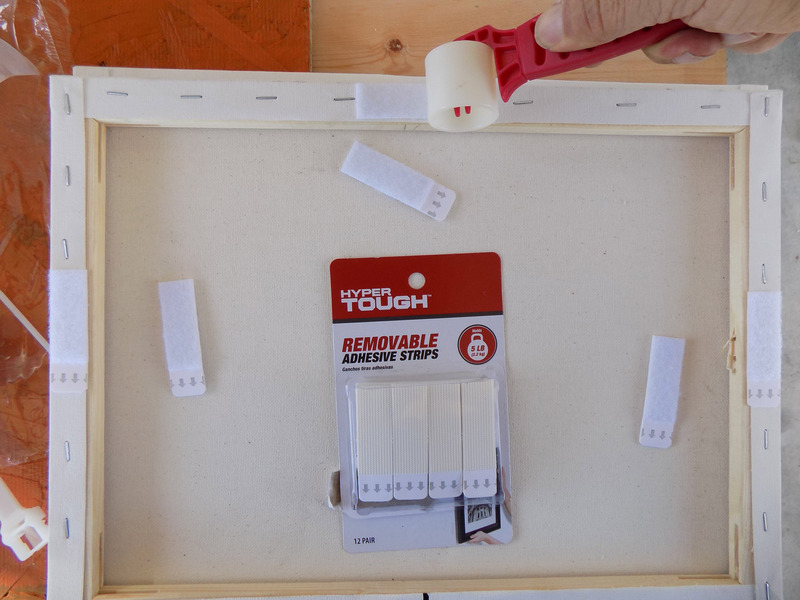 Making a removable adhesive is much more challenging than making a permanent adhesive. 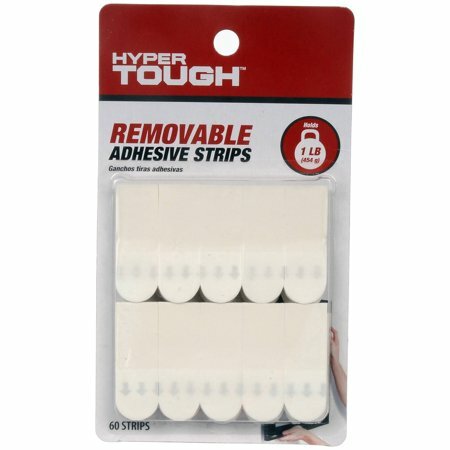 The reason for this is that you can’t make a removable adhesive too strong or too weak, and with a permanent adhesive, your concern is just not making it too weak. 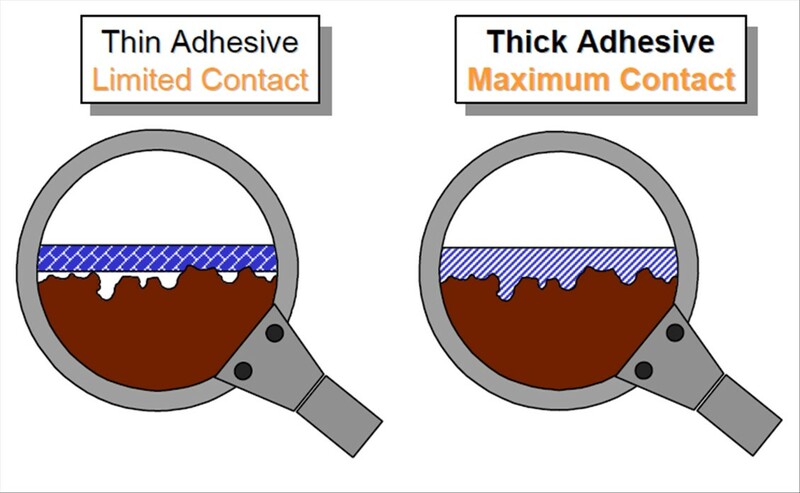 A permanent adhesive will work on many more surfaces than one that is designed to be removable. Like Little Red Riding Hood, it has to be just right. The adhesive tapes we use to hang object on our walls or hold two surfaces together are called pressure sensitive adhesives (PSA). 2. 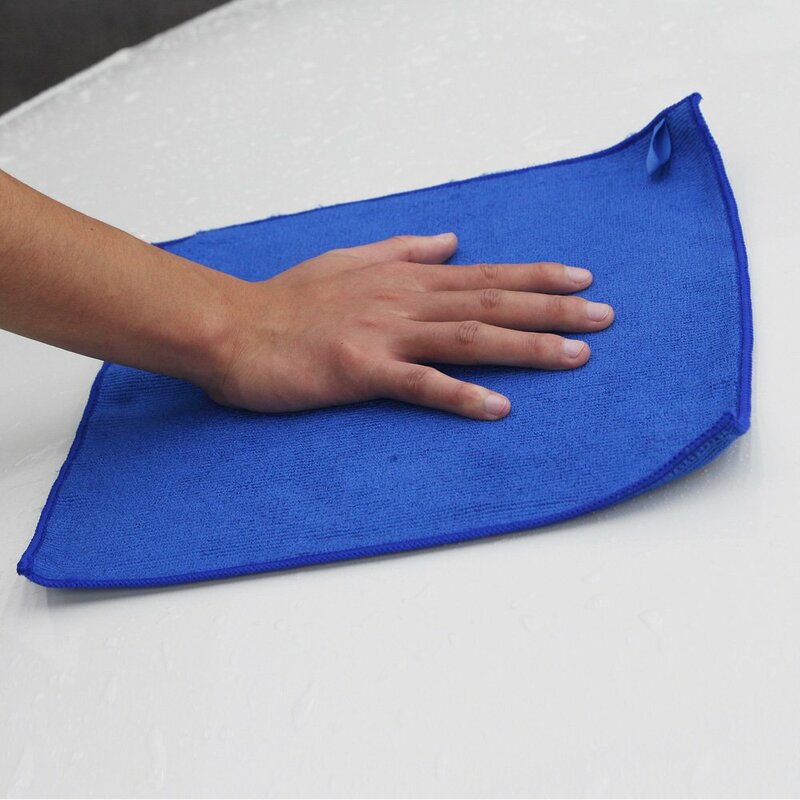 A clean, dust-free, surface. 4. A surface that is not “slippery,” which is called surface tension. Low surface tension is not good, while high surface tension is very good. 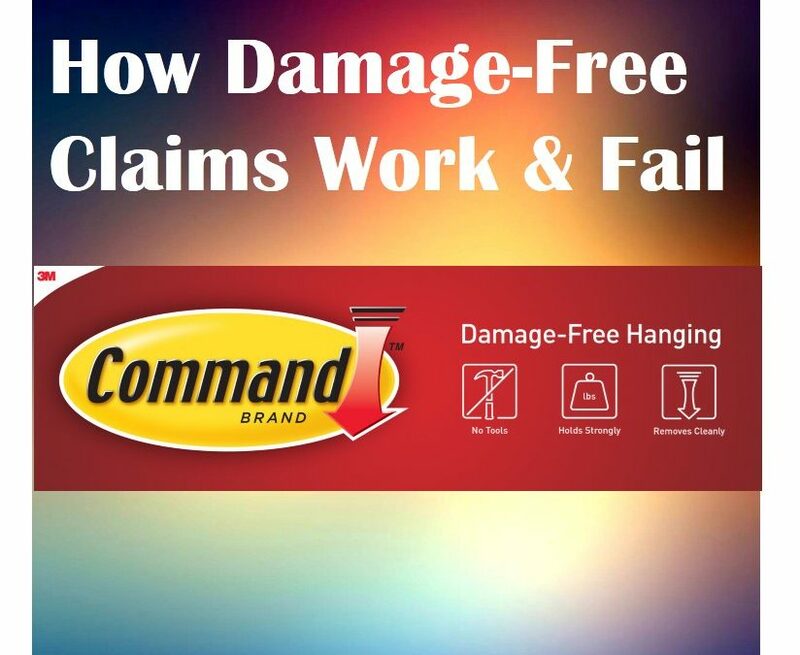 While my technical presentations could be 40 slides long, from here I’m going to discuss considerations for attaching objects to surfaces that you want to remove later without causing damage. 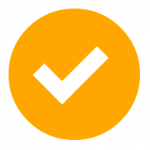 OK, so this user followed directions and we could check-off on our list of what makes a PSA work: applied pressure, . Clean surface, . Applied at room temperature, (I’m assuming used indoors). The unknown here is the surface tension, of the wall and picture frame. Since the pictures were lightweight, I suspect surface tension was the culprit. There might be another reason, which I’ll discuss soon. I have tools to check the surface tension of objects, but since you don’t have that luxury, I’ll provide some hacks. How to test if your surface will be “nice” to your removable tape. 1. Spray water on the surface. Do you see only beading water? Sign of hard to stick surface (low surface tension). You’ll see more flat water on high tension surfaces. Color might make it difficult to see. 2. 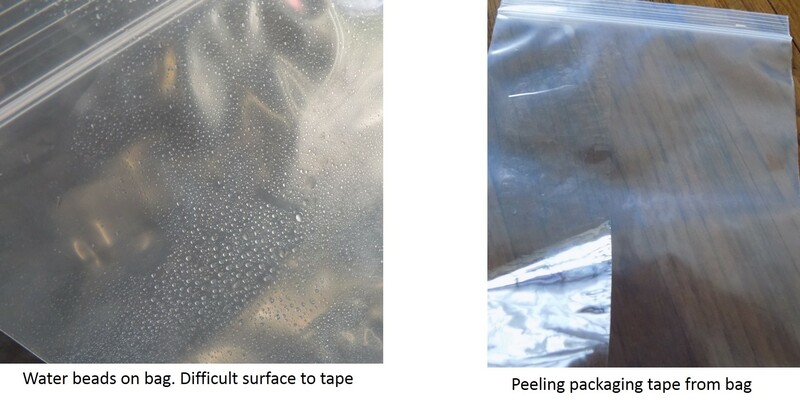 So that you will know what hard-to-stick to surface feels like, take regular packaging tape (the type that seals packages), apply it to a plastic zip lock bag and peel it away. Bags are made from polyethylene and have low surface tension. 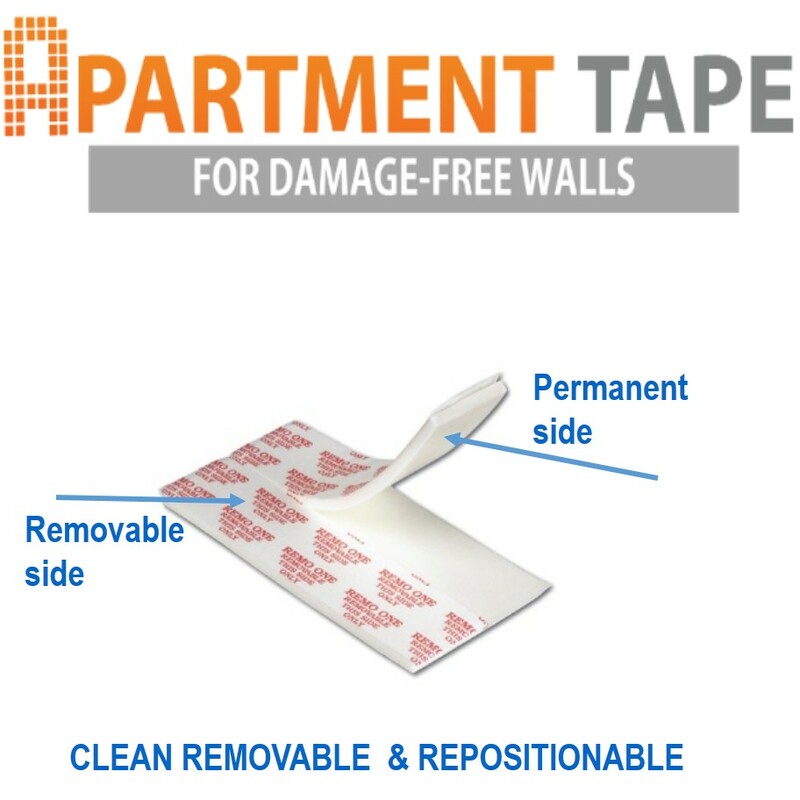 If your wall feels the same way when you apply packaging tape, removable tape may not work. So what do you do if you have low surface energy wall, and you want to use a double-sided tape? 1. “Overload” the area with removable adhesive tape. The more area you could cover the more secure it will hold. 2. Apply 2” packaging tape to the surface. Then apply permanent tape to the packaging tape. 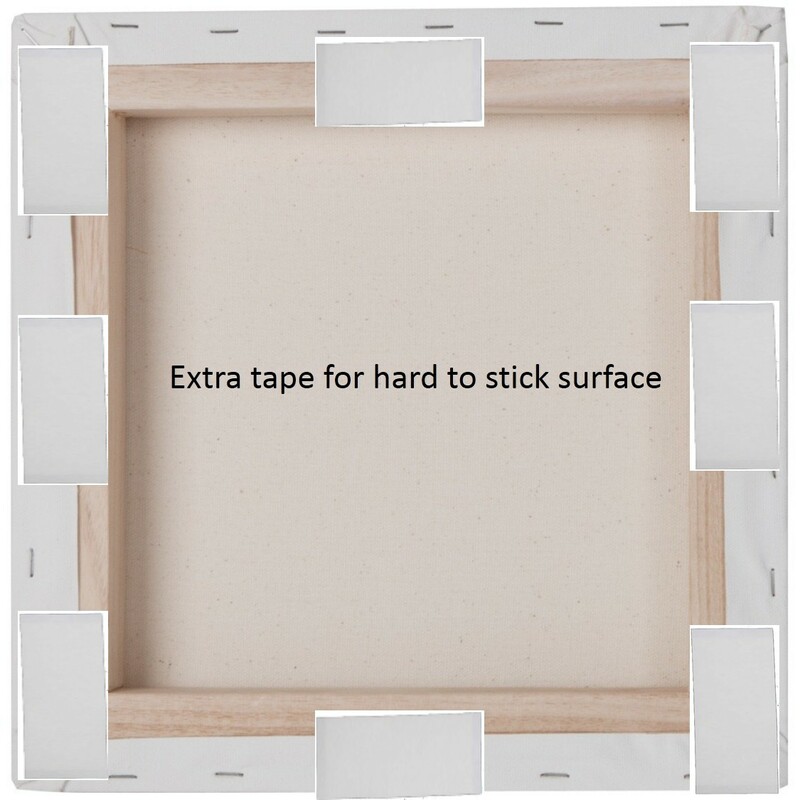 The packaging tape isn’t stronger than the permanent double tape, but because it’s covering a larger area, it will hold more securely and remove more cleanly (although may mark surface). 3. Use permanent adhesive. Although it may mark the surface when removed, it won’t be as bad because it’s a low energy surface. Use a strong orange oil cleaner and coconut oil to remove. Another consideration I have not mentioned but may have a significant effect on holding your art against your wall, is a textured surface. 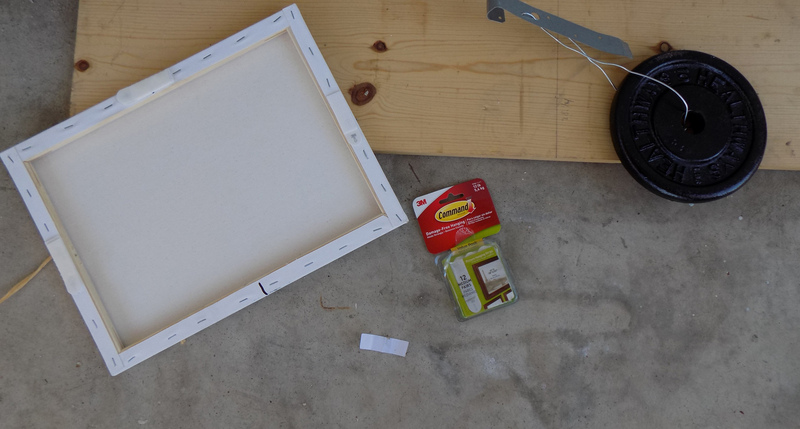 Generally, I’ll take a rough surface with high energy than a smooth surface with low energy, with rough surfaces you just need to use a thicker tape. With rough surfaces, don’t use a thin film tape. 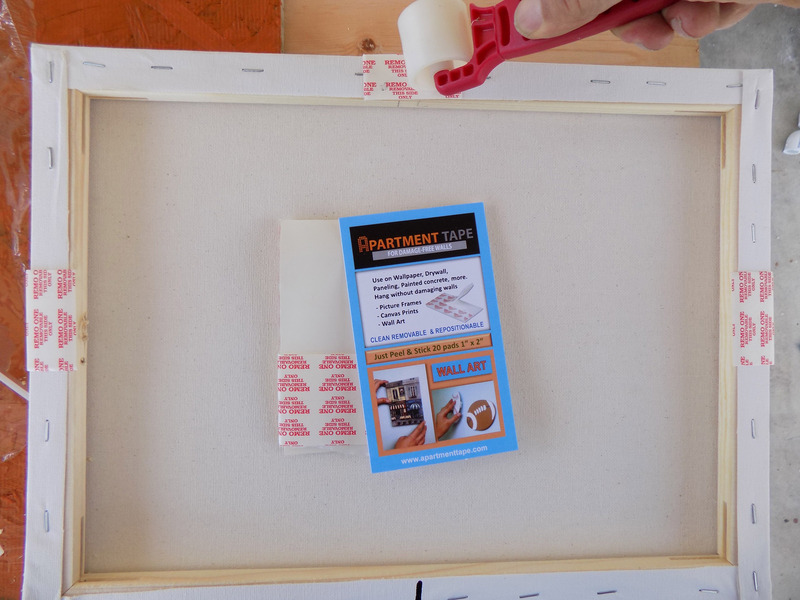 Instead use a foam tape so the adhesive can make its way into the valleys of the surface. 3. Apartment Tape. These have removable adhesive on one side and permanent adhesive on the other. The remover side goes against the wall. 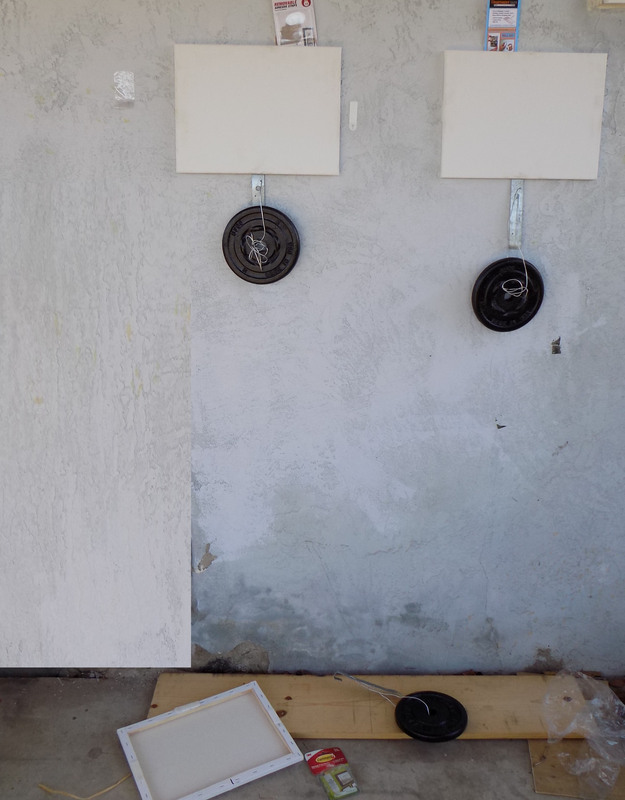 TEST 1: hooks placed on dry wall that has some textured surface. 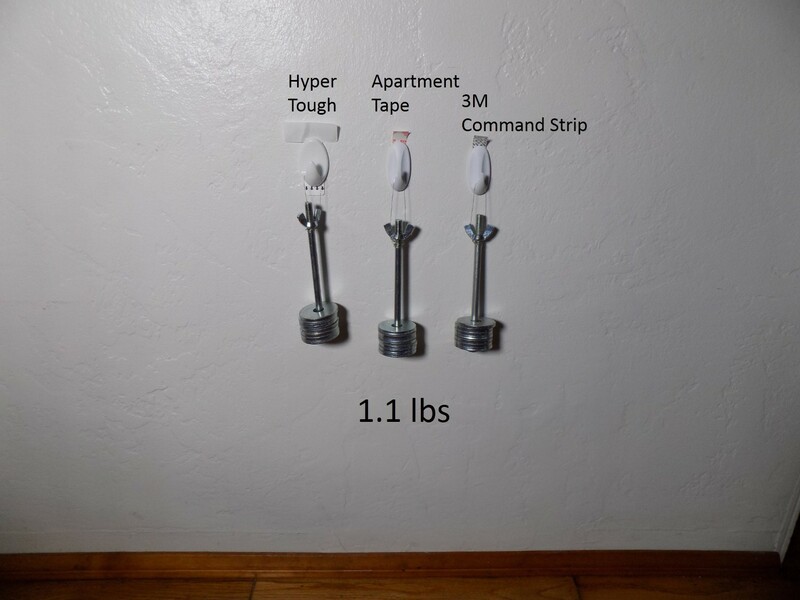 I initiated the test with 1.1 pounds of weight, as the 3M Command strip hook is rated for 1 pound. I placed Apartment tape on one hook, as not available with a hook option. All tapes held up well after 24 hours of hold. I then increased weight to 2.5 pounds. After 24 hours, all hooks were still in place. Conclusion: The test was ended and all tapes held more than double their rated weight. The dry wall has medium surface tensions. There was no tape residue from any tapes when removed. TEST 2”: placing 11 x 17 inched stretched canvas frames on a highly textured stucco surface. I used Command Picture Hanging Strips, Hyper Tough Strips, and Apartment Tape 1/32” and 1/8” thick. 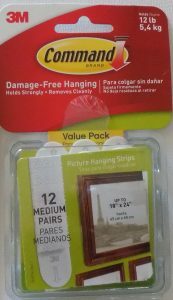 Each pair of command strips for picture hanging is rated at 3 pounds per pair. 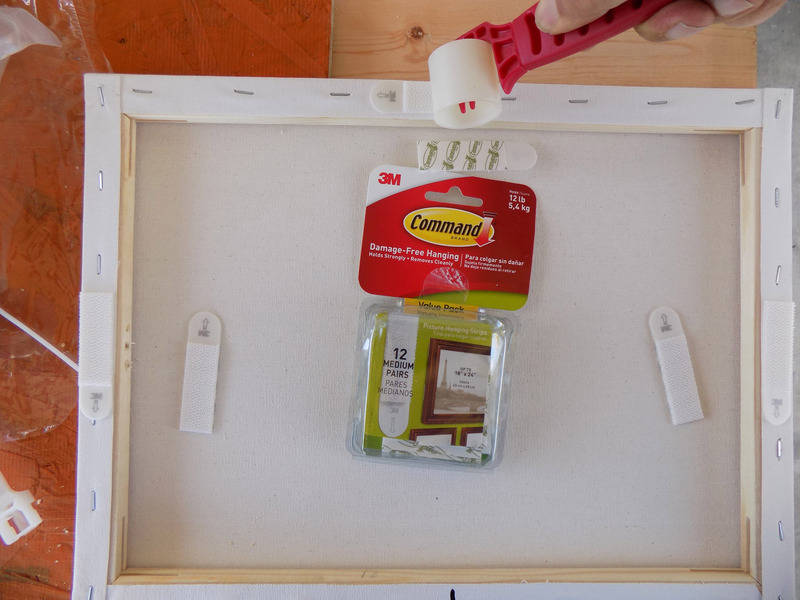 I placed 3 strips on stretched canvas frames, so the 3M Command should hold 9 pounds of weight. 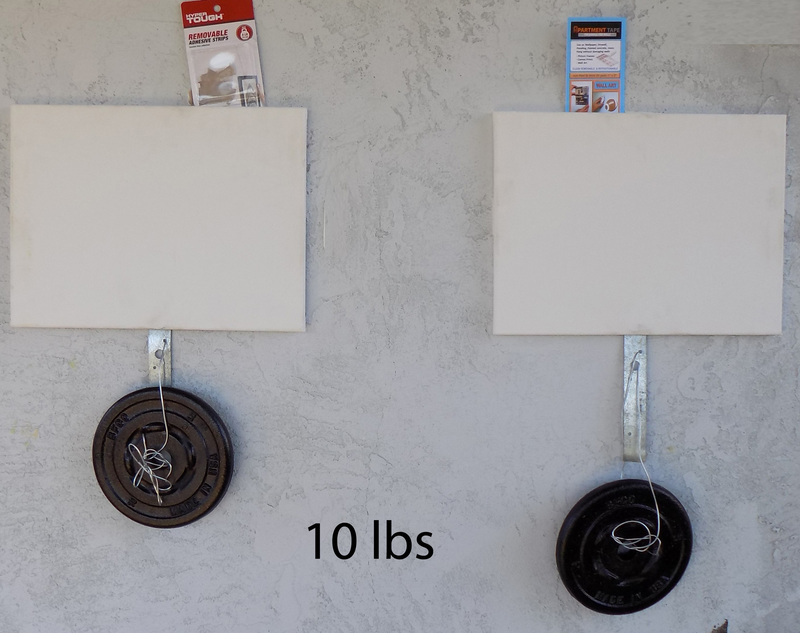 I placed 10 pound weight on each stretched canvas frames, 1 pound over the 3M Command rating. From experience, the weight ratings on tapes run on the conservative side, so Command Strips should do ok. The Command Strips immediately fell to the ground within seconds of applying. The Command tape did not do well with the highly textured surface. The tape was too stiff and the adhesive did not get into the valleys of the wall’s texture. The 1/32” Apartment Tape was too thin and also fell within seconds of being applied to wall. 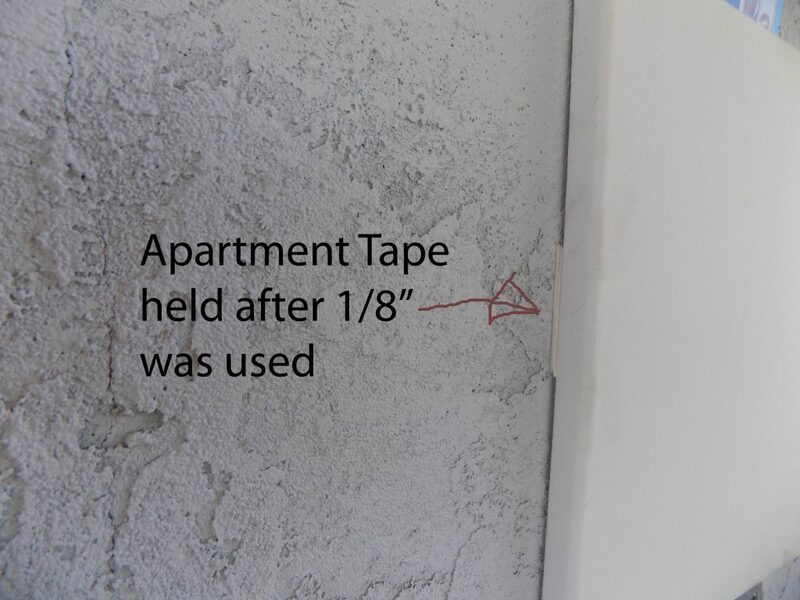 The 1/8” thick Apartment tape was able to hold 10 pounds for over 24 hours, demonstrating the importance of having a thick enough tape to fill the wall’s gaps. 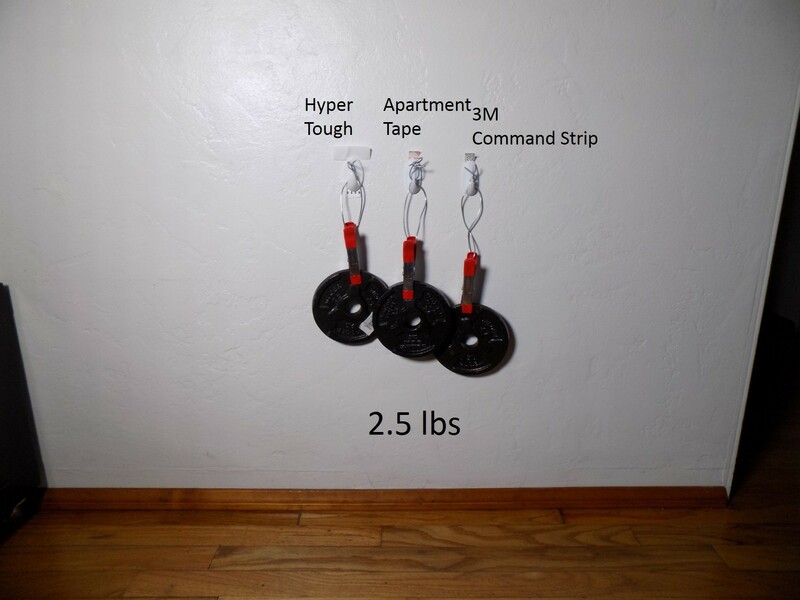 The 3M Command Strips could not hold the 10 pound weight due to the hills and valleys of the wall. The wall is highly textured plaster wall. 1/32" thick Apartment Tape also fell within seconds of being attached to wall. Applying 1/8" thick Apartment Tape allowed the adhesive to flow into the plaster valleys and was able to hold the weight. The Hyper Tuff strips held the weighted frames well. The hook and loop construction helped the tape to hold the weight. The “Velcro” slightly separated but held when the weight was applied, so it allowed the tape to be more flexible. 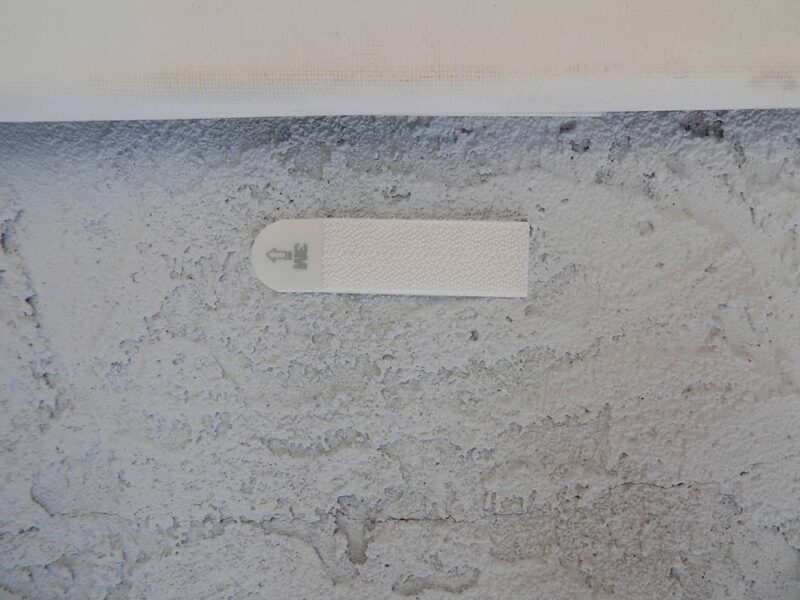 The reason the Command Strips failed, for the most part, was that the mushroom fastening system held together so tightly, it did not allow the adhesive some flexibility, which is needed when you have highly textured surface. Conclusion, be aware of the surface you’re attaching your object to. 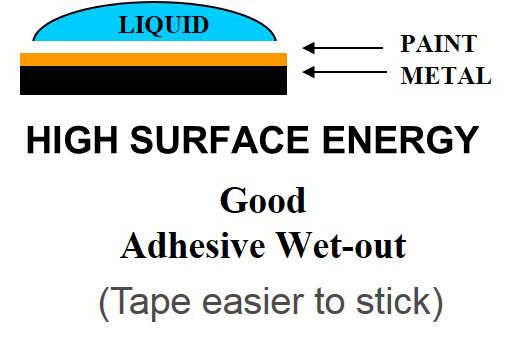 Does tape stick easily to it (high surface energy) or does tape peel away easily (low surface energy). Use permanent rated tapes on low energy surfaces. 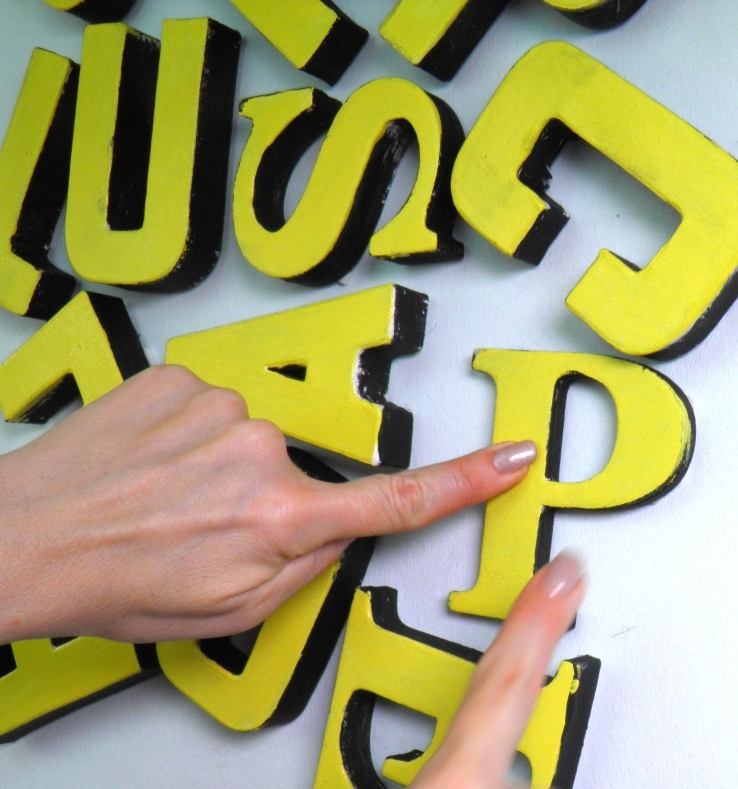 Use thicker foam tape on highly textured surfaces.